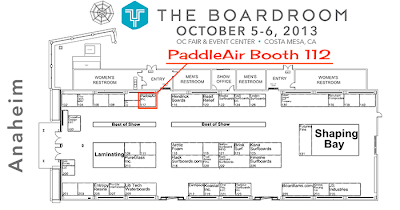 PaddleAir has a great booth location at The Boardroom OC Fair and Event Center on Saturday and Sunday, October 5 and 6, 2013. 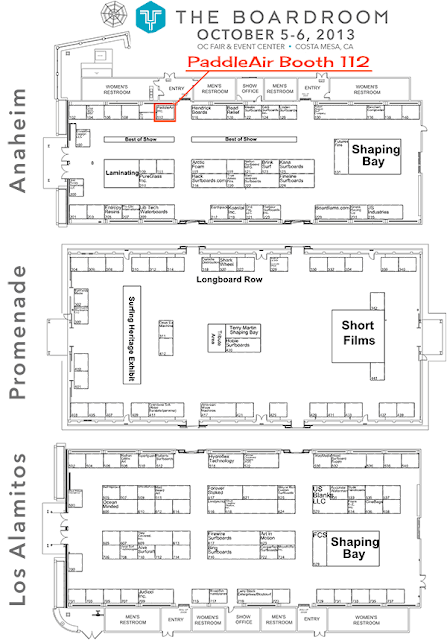 We will be located in corner booth 112 of the Anaheim Building, right by the main entrance. 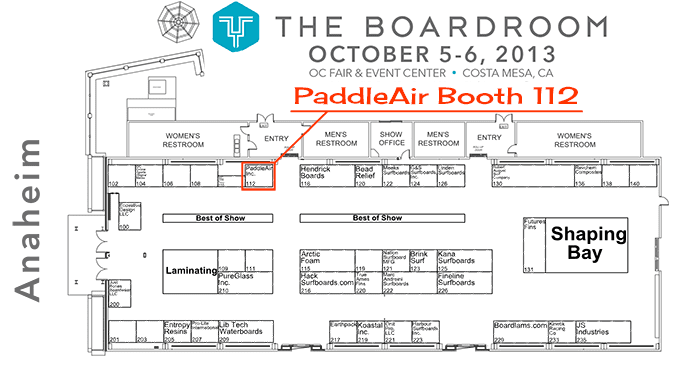 Visit our booth to see, tryout -- on our demo surfboard -- and buy a PaddleAir Ergo. Plus we're planning some great giveaways for booth visitors. This is the year that this shaping and surfing expo show (formerly Sacred Craft) comes to Costa Mesa, CA, which gives Southern California surfers a more centralized location from the usual Del Mar event. 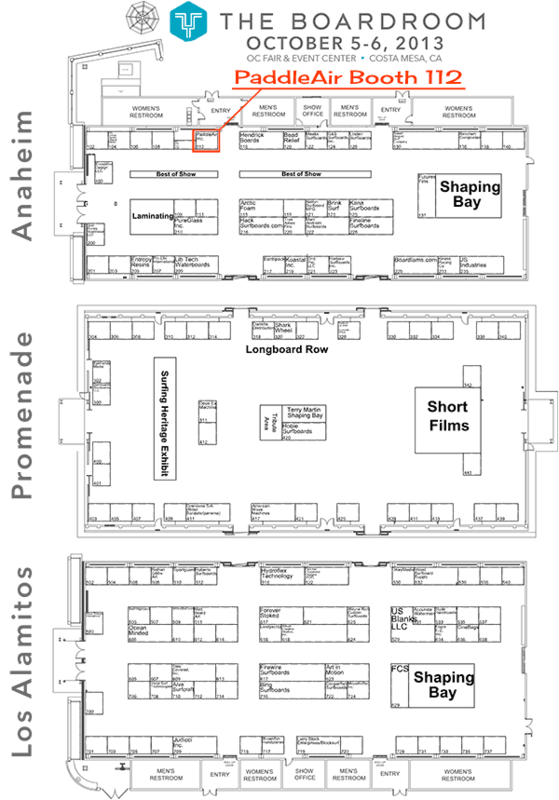 This year's Boardroom show is expanded into three large buildings on the Orange County Fairgrounds. More details are available from The Boardroom website here.